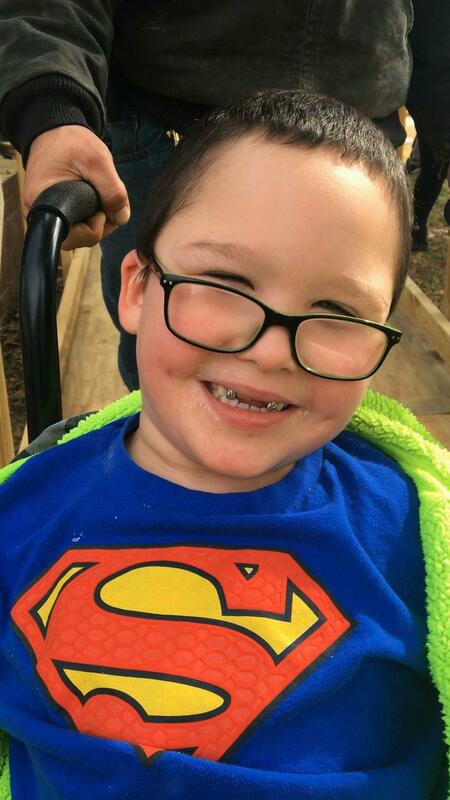 On Saturday, January 26th, 30 members and friends of the Rotary Club of Killeen Heights came together to build a wheelchair ramp for a very special little boy, Edward. Edward lives with cerebral palsy and spinal scoliosis, which results in him spending most of his time in a wheelchair. Edward’s stepfather, Chaz Dumas, has to carry him up and down a set of stairs to get into their house. Chaz heard about the club’s efforts in serving the community, so he approached several members of the about the potential for getting a ramp built. The family had exhausted every traditional resource for getting assistance for a special-needs child; governmental organizations would not help, and the family’s insurance companies denied every request on the grounds that Edward might “get better” one day and walk on his own. Everyone’s hope is that this prediction will come true, but that wish does nothing to help their immediate needs. Of course, the Killeen Heights Rotary Club came to the rescue. The result? A 24-foot, ADA-compliant wheelchair ramp that allows Edward to wheel out of his home with his parent’s assistance, or under his own power if necessary. The support and appreciation expressed by Edward’s family was amazing! Most of his extended family, including his grandfather, was present to watch Edward roll down his ramp for the first time. Edward’s bright, beaming smile as he came down the ramp made the Rotarians’ efforts completely worthwhile, and reminded everyone that Service Above Self is more than just a slogan – it is a way of life. This service project, along with the many others conducted by the Rotary Club of Killeen Heights, shows that Rotary can “Be the Inspiration” in our communities and around the world.